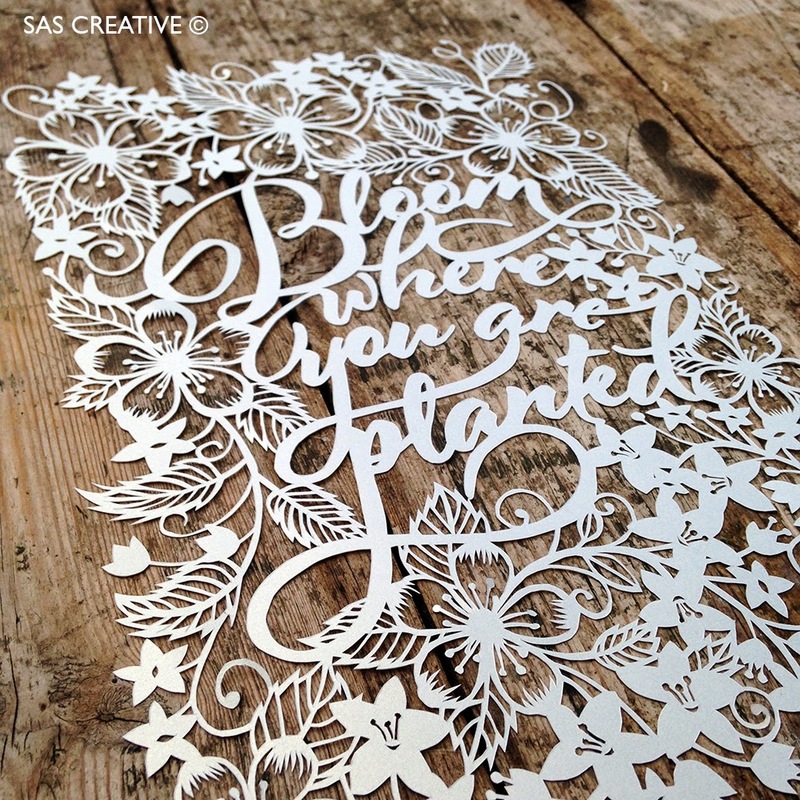 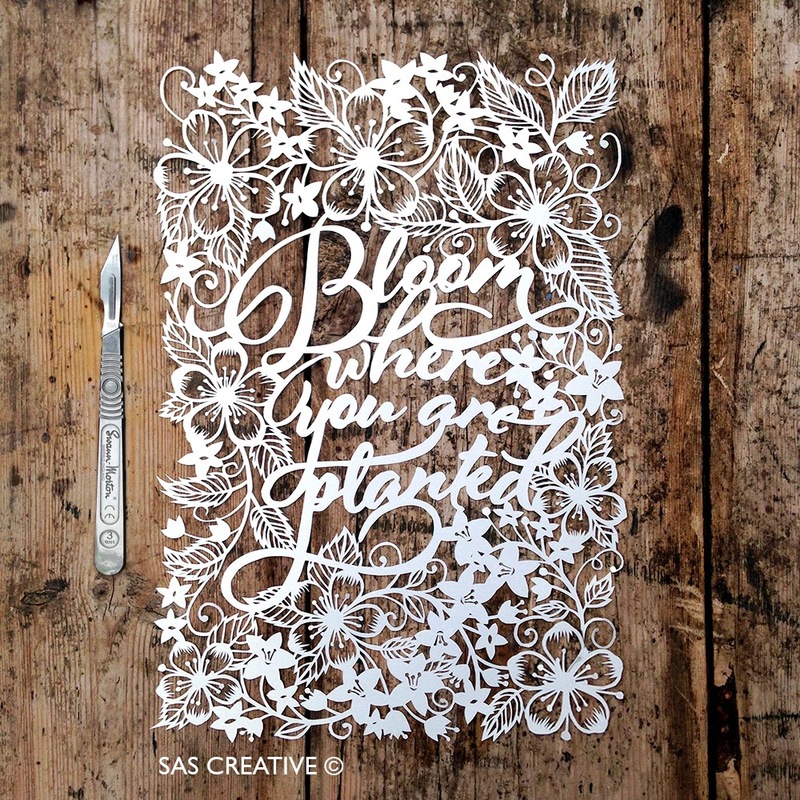 Spring is officially here and to celebrate I created this papercut design incorporating blossom from our local trees. 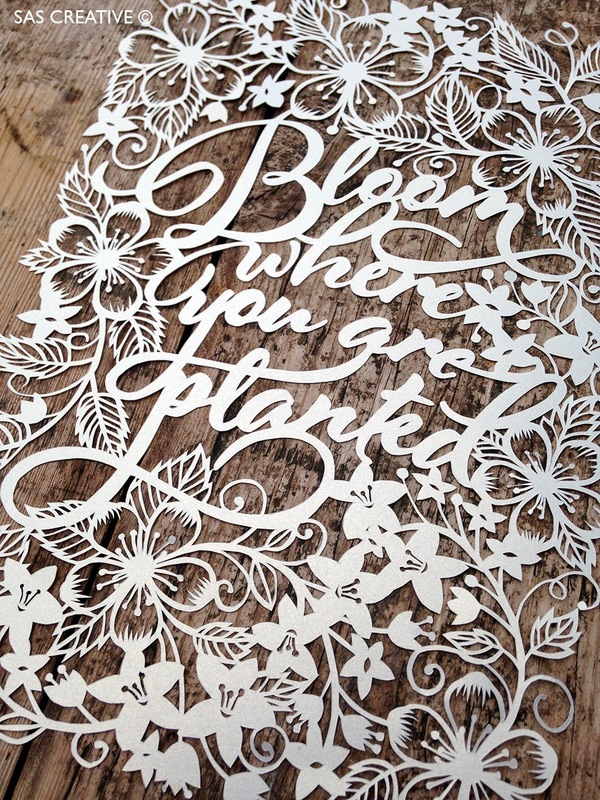 We had our first official walk without our coats on, yes it was that warm on the forest! 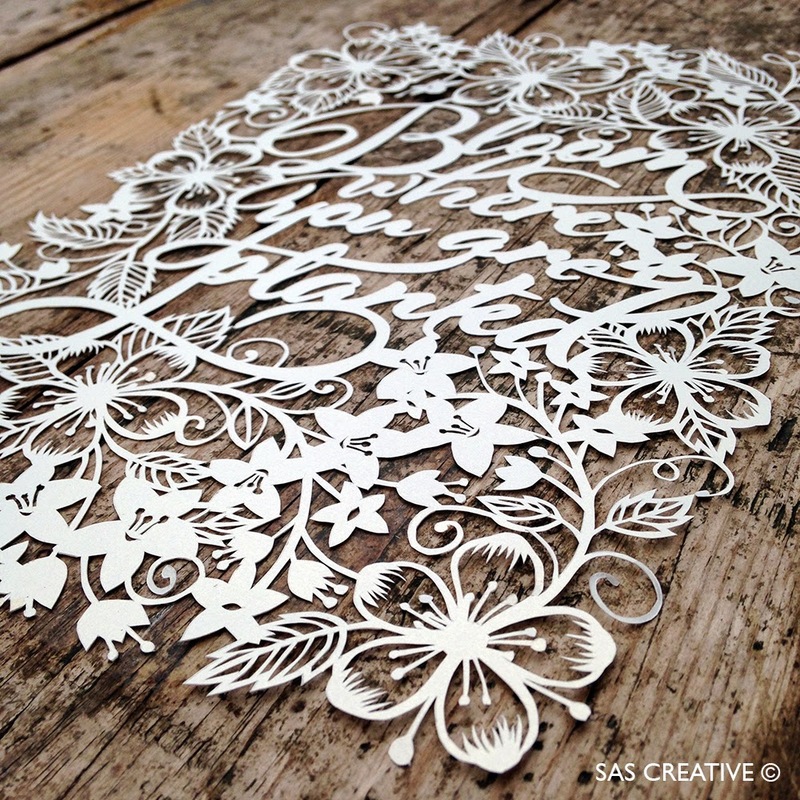 Here's to the lighter evenings and longer days.... and more paper cutting!